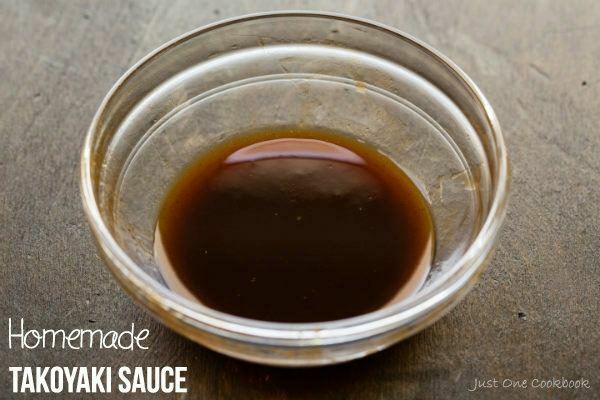 This recipe shows you how to make a quick & easy Tonkatsu Sauce from scratch. 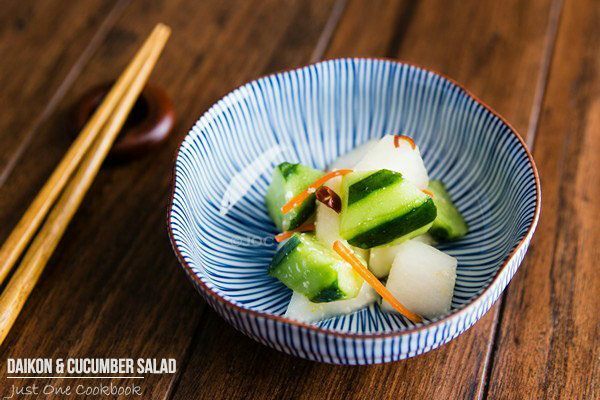 Serve it with tonkatsu or other deep fried dishes. Tonkatsu Sauce is served with Tonkatsu (deep fried pork cutlet) and often used for other deep fried dishes like Ebi Fry and Korokke. Tonkatsu Sauce mainly consists of vegetables and fruits such as tomatoes, prunes, dates, apples, lemon juice, carrots, onions, and celery. It also includes more than 10 kinds of spices along with soy sauce, vinegar, and sugar. It’s a lot of work to make it from scratch, but you can definitely make a simplified version that tastes just as good to go with your homemade tonkatsu. Combine ketchup, Worcestershire sauce, oyster sauce and sugar in a small bowl & whisk well. Taste and adjust any seasonings to your liking. 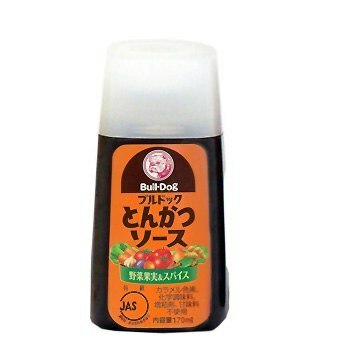 The popular Tonkatsu Sauce brand is Bulldog (see below) which you can find in a Japanese or Asian supermarket. 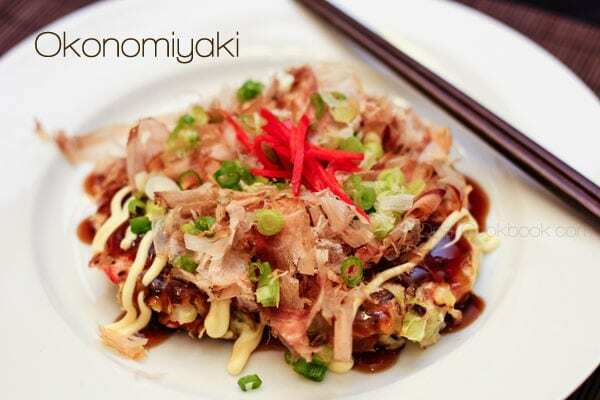 If you’re looking for Okonomiyaki Sauce, click here for the recipe. Thank you for posting the Tonkatsu sauce recipe. It’s simple, fast, and tasty. Just used it with tonight’s dinner. What can I use instead of Worcestershire sauce in this recipe….I haven’t found a gluten free one yet. Hi Diane! I have this one at home, and according to the website, it’s GF. Amazon sells it online. 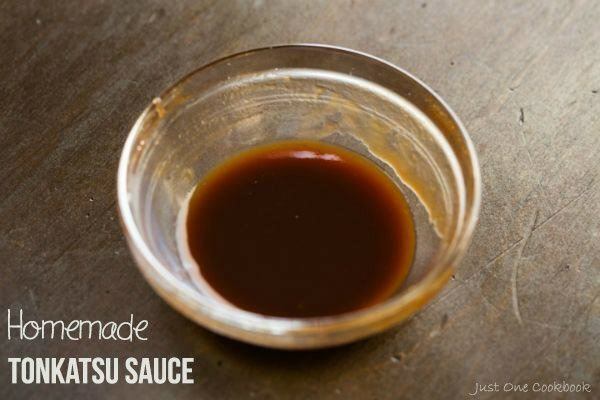 Worcestershire sauce is main flavor in Tonkatsu sauce, and it’s hard to skip this flavor…. This looks yum, but is there a substitute for oyster sauce or can it be omitted? Hi Allysha! The one I made include oyster sauce to get the thickness and salty deep flavor in tonkatsu sauce, but I’m sure we can create a version of Tonkatsu Sauce without the oyster sauce. However I don’t know how the measurement of ingredients will be without oyster sauce. it is simple and easy to read. In my hometown, they do not sell Worcestershire sauce (or Usutah So-su) or oyster sauce. so,how i can replace them? That’s a difficult question. To make Tonkatsu Sauce without going through making it from scratch, I think it’s very difficult to get a closer tonkatsu sauce flavor without those ingredients, especially Worcestershire sauce…. Sorry I am not sure how I can suggest. Hope you can find tonkatsu sauce online. I weep for you. I am so sorry to hear of this travesty in this day and age. From what I hear you can order groceries through Amazon and other online retailers now. Condiments like that would be perfect to order because they don’t spoil easily and you’d probably get a discount if you got some in bulk to stock up. I wonder if using soy sauce instead of the Worcestershire, and perhaps a few drops of toasted sesame oil and some ginger would be a good sauce. It won’t be the same, obviously, but it could make a nice tasting sauce, though. Nami, thank you very much. I had eaten Tokastsu at a small japanese restaurant and I loved it, but then they closed last week and I never got the recipy so I ventured yself on doing it and thanks to the recipy its great! Its the same thing! It taste great, thank you very much! Hi Fernando! I’m glad you enjoyed it! 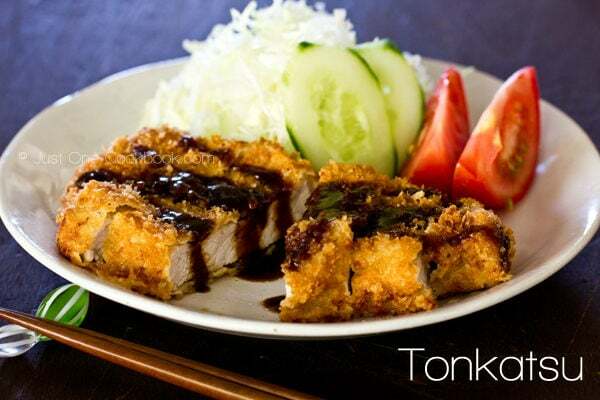 Try my Baked Tonkatsu recipe if you made the regular tonkatsu. 😉 Thank you very much for trying my recipe! My fiancé has a severe fish allergy so he can’t use Worcestershire sauce. But if you have it HP sauce is very similar in taste but without the fish sauce. You can try it and see if HP sauce will work. Thank you for the amazing recipes! I was wondering can I use something else or not use the oyster sauce at all? Is there a vegetarian option that I can use instead of the oyster sauce? Did you try making the sauce without the oyster sauce? I want to find a good brand of oyster sauce, but I can’t decide which one. Should I get one with MSG flavoring or one without? Do you have a preference? How long can this be kept for if fridged? I am thinking of doubling the recipe so I will have it on hand. I used same amount of fish sauce instead of oyster sauce and added grated fresh ginger to taste plus 2tsp. sour cherry preserve. Delicious! Can I replace the oyster sauce with fish sauce? Ah I see that now. I found some at the store and should be good now. Thanks! Yum! Finally was able to make some and tried it with my okonomiyaki! Tastes just like the stuff my dad used to make for me when I was a kid! Thanks for this! Hi can i ask if what kind of ketchup you use ? Is it tomato ketchup or banana ketchup or it doesnt matter what ketchup i can use. Thnks have a great day..
Great sauce but I also added 1 table spoon of apple sauce. It tasted a little more authentic. Thanks for the recipe! Combine and mix well in a bowl, adjust to taste before pouring it into a small saucepan and reducing the sauce with 2 tablespoons of water until desired thickness. This is the best Tonkatsu sauce I have tried! Thank you so much! P.S. I also love your Tonkatsu recipe / tutorial! The tonkatsu sauce is oh so yummy! ???? Btw,since i don’t have a worcestershire sauce on hand. I’ve tried to make a subsitute and it went well. So,for those folks who will probably don’t have it. You’re welcome to try it. ???? 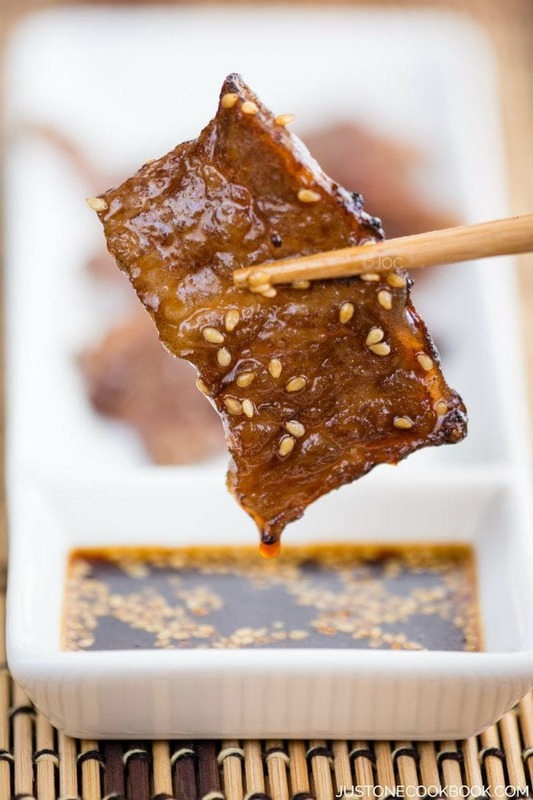 *If you’re out of Worcestershire sauce, use 2 teaspoons soy sauce, 1/4 teaspoon lemon juice,1/4 teaspoon sugar and a dash of hot sauce for every tablespoon Worcestershire the recipe calls for. 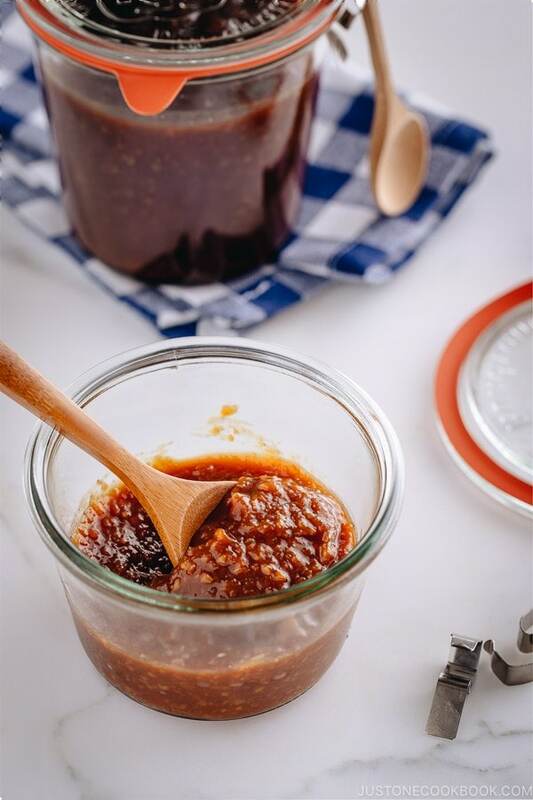 I make my sauce a little differently – I used equal parts ketchup, worcestershire, and honey + I add a little freshly grated ginger since we love it so much. It comes out nice and thick and if you need to thin it down just had a little water. I don’t use oyster sauce in mine. This is the best Tonkatsu sauce I have tried. Thank you so much! I am allergic to shellfish. So is there a substitute for oyster sauce? Thanks! Is there something I can use in replace for ketchup? Thank you for this recipe Nami. It’s a life saver I went to several big supermarket here where I live but can’t find any tonkatsu sauce in a bottle. This recipe is so easy that I made extra and put in the squirt bottle to use anytime when it’s katsu time ^^ The taste is spot on. What other ingredients can we use instead of worcestershire sauce? 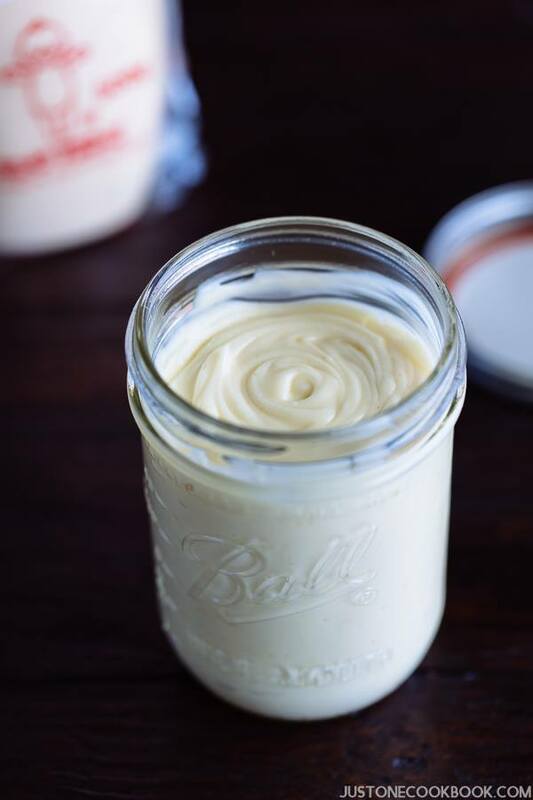 Just make this sauce for lunch to go with vegie pancake, it taste beautiful….. Thank you for the great recipe!!???? Putting this on almost any fried food with breading is really good. especially on fried chicken, Fried pork and even burgers. I’m allergic to fish so Worcester shire sauce is,put ź anchovy paste. Oyster sauce is out – oysters. Any substitutions with no fish stuff? I’m hypersensitive to fish & can’t even touch it. Hi Amy! I see… I searched online and some people make it without without oyster sauce or Worcestershire sauce. Ketchup (3 Tbsp), miso (1.5 Tbsp), soy sauce (1 Tbsp), sugar (2 tsp), and ground sesame seeds (2 Tbsp). I haven’t tried this yet, but I’m curious how it tastes like… maybe not exactly like Tonkatsu sauce, but hopefully delicious. thank you Namiko I made sweet potatoes instead of potatoes and so yummy!! my family loves japanese food. thank you very much for sharing your recipes. God bless!! Hi Jack! Thank you for sharing your recipe with us! It sounds delicious!!! This is just the recipe I was looking for. I have a cookbook with a tonkatsu recipe, but no ingredients for the sauce. Thanks! riight if you cannot find tonkatsu sauce in your local shjop, then just find Worcestershire sauce to make it… thanks, may you tell me, where can i find that? If there is no local Japanese/Asian grocery store, it’s harder to find Tonkatsu sauce. You can get Worcestershire sauce pretty easily in a regular grocery stores. Sorry, I should have asked if you’re based in the US (sorry, majority of my readers are from the US, so I assumed)… Is your area hard to find Worcestershire sauce? Hi, can I substitute something else for the oyster sauce? I’m allergic to seafood. Thanks! Hi Tabitha! Hmmm either you can use vegetarian oyster-flavored sauce (https://www.amazon.com/gp/product/B014KM7B46?ie=UTF8) or you can just omit it. Slightly different flavor (no salty kick) though. Thank you for this recipe! We really loved it! Hi Midori! I’m so happy to hear you enjoyed it. Thank you for your kind feedback!! I made Tonkatsu, but ran out of the store purchased Tonkatsu Sauce and my local Asian store that carried it was just too far away to drive for that one purchase. I found your recipe for Tonkatsu Sauce and I had all the ingredients. I was pleasant surprised at how good the homemade Tonkatsu Sauce tasted. I’m never going to buy another store purchase Tonkatsu Sauce again. Thank you!!! Is it possible to post the ‘complicated’ recipe for these sauces? I love your Tonkatsu sauce recipe it’s so much better than Bulldog sauce!! I used it not only on Tonkatsu but on Okonomiyaki and avocado toast with Bonita flake on top it delicious! 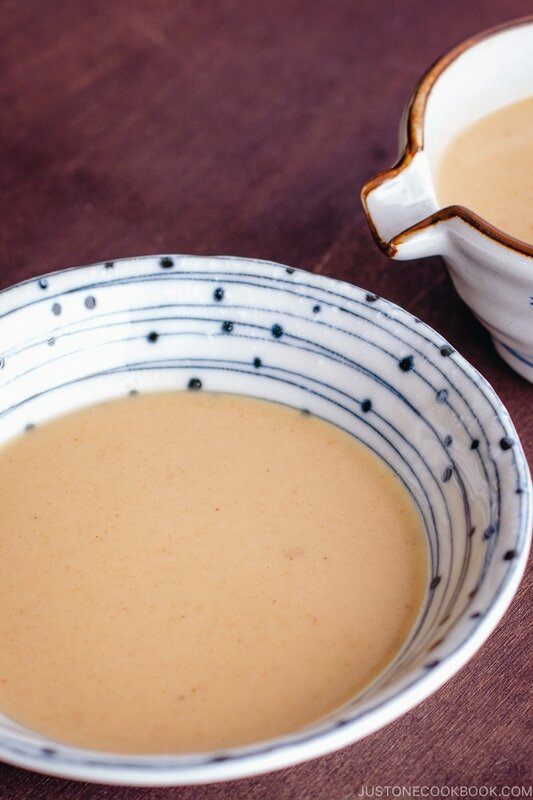 This is a very good and easy substitute for store-bought katsu sauce. I also use with karaage. I won’t be buying store-bought again. Thanks! I absolutely love your recipes, and your tonkatsu and tonkatsu sauce are a big hit at my home. Is there anyway you can make and share Sichuan Cumin Beef? It’s one of my favorites but I can never find a decent recipe with the tingly warmness of the sichuan peppers. Help! Hi Molly! Thank you so much for your kind words and I’m glad to hear you enjoy Tonkatsu and Tonkatsu sauce recipes. Unfortunately, I don’t know Sichuan Cumin Beef recipe…. Have you checked my blogger pal Elaine’s site? Sorry, I like your site but this didn’t taste like Tonkatsu sauce, The oyster sauce threw me off. I think also Worcestershire sauce should be reduced. Amazing! 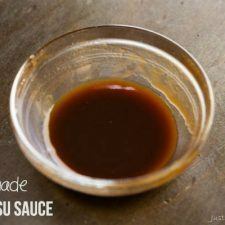 Our tonkatsu consumption sky-rocketed after I discovered this sauce recipe. Also the consumption of ketchup, oyster sauce and Worcestershire sauce that used to lie around in the fridge literally for years, and now I even keep back-up bottles in the pantry 🙂 Thank you for sharing it! Hi Olesya! Haha, Tonkatsu sauce is my favorite. My friend in Osaka told me that people in that region eat fried eggs with Tonkatsu sauce (while we eat a fried egg with soy sauce in Tokyo area). Since then I enjoy tonkatsu sauce on my egg too! 😀 Glad to hear you like this recipe and thank you for your kind feedback! Is there a way to make this sauce with no ketchup? Hi Angel! Hmmm you can omit it, but it will not taste like Tonkatsu sauce? Thank you for sharing this. I can’t buy Tonkatsu Sauce where I live so this is such a life saver! Hi Nami, I recently discovered your site while learning to make sushi. It turned out great… Thank you!! Tonight making your Hambagu steak. Having much fun making the foods I love.from someone I trust. I so enjoy watching your videos, you’re so sweet, you make my heart smile. Tnx for all the great info and recipes!! Can you use fish sauce instead of oyster sauce?